Draft: 2004, Pittsburgh Pirates, 39th rd. April 16, 2016 Norfolk Tides released RHP Todd Redmond. December 2, 2015 RHP Todd Redmond assigned to Norfolk Tides. November 25, 2015 Baltimore Orioles signed free agent RHP Todd Redmond to a minor league contract and invited him to spring training. October 5, 2015 RHP Todd Redmond elected free agency. September 1, 2015 Buffalo Bisons activated RHP Todd Redmond from the temporarily inactive list. August 28, 2015 Buffalo Bisons placed RHP Todd Redmond on the temporarily inactive list. July 5, 2015 Toronto Blue Jays sent RHP Todd Redmond outright to Buffalo Bisons. July 3, 2015 Toronto Blue Jays designated RHP Todd Redmond for assignment. June 22, 2015 Toronto Blue Jays selected the contract of RHP Todd Redmond from Buffalo Bisons. June 1, 2015 Buffalo Bisons activated RHP Todd Redmond. May 29, 2015 Toronto Blue Jays sent RHP Todd Redmond outright to Buffalo Bisons. 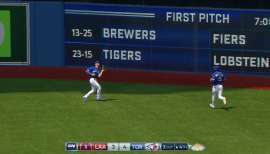 May 19, 2015 Toronto Blue Jays designated RHP Todd Redmond for assignment. May 18, 2015 Toronto Blue Jays selected the contract of RHP Todd Redmond from Buffalo Bisons. April 26, 2015 Toronto Blue Jays sent RHP Todd Redmond outright to Buffalo Bisons. April 16, 2015 Toronto Blue Jays designated RHP Todd Redmond for assignment. 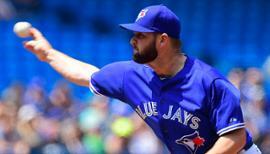 August 13, 2013 Toronto Blue Jays recalled RHP Todd Redmond from Buffalo Bisons. August 3, 2013 Toronto Blue Jays optioned Todd Redmond to Buffalo Bisons. August 2, 2013 Toronto Blue Jays optioned Todd Redmond to Buffalo Bisons. July 3, 2013 Toronto Blue Jays recalled Todd Redmond from Buffalo Bisons. 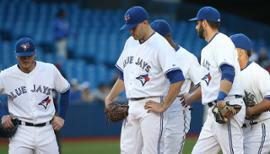 June 8, 2013 Toronto Blue Jays optioned Todd Redmond to Buffalo Bisons. May 29, 2013 Toronto Blue Jays recalled Todd Redmond from Buffalo Bisons. May 19, 2013 Todd Redmond roster status changed by Buffalo Bisons. April 4, 2013 Buffalo Bisons placed RHP Todd Redmond on the 7-day disabled list. 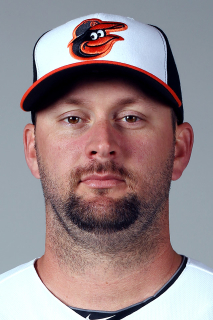 March 22, 2013 Toronto Blue Jays claimed RHP Todd Redmond off waivers from Baltimore Orioles. 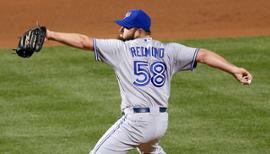 March 22, 2013 Toronto Blue Jays optioned RHP Todd Redmond to Buffalo Bisons. March 16, 2013 Baltimore Orioles optioned Todd Redmond to Norfolk Tides. February 8, 2013 Baltimore Orioles claimed Todd Redmond off waivers from Cincinnati Reds. February 1, 2013 Cincinnati Reds designated Todd Redmond for assignment. October 15, 2012 Cincinnati Reds activated RHP Todd Redmond. September 4, 2012 Cincinnati Reds recalled RHP Todd Redmond from Louisville Bats. August 19, 2012 Cincinnati Reds optioned Todd Redmond to Louisville Bats. August 18, 2012 Cincinnati Reds recalled Todd Redmond from Louisville Bats. August 1, 2012 Cincinnati Reds optioned Todd Redmond to Louisville Bats. July 31, 2012 Cincinnati Reds recalled Todd Redmond from Louisville Bats. July 18, 2012 Cincinnati Reds optioned Todd Redmond to Louisville Bats. July 17, 2012 Cincinnati Reds recalled Todd Redmond from Louisville Bats. July 17, 2012 RHP Todd Redmond roster status changed by Louisville Bats. July 14, 2012 Atlanta Braves traded RHP Todd Redmond to Cincinnati Reds for SS Paul Janish. July 14, 2012 Cincinnati Reds optioned RHP Todd Redmond to Louisville Bats. June 21, 2012 Atlanta Braves optioned Todd Redmond to Gwinnett Braves. June 17, 2012 Atlanta Braves recalled Todd Redmond from Gwinnett Braves. March 19, 2012 Atlanta Braves optioned Todd Redmond to Gwinnett Braves. November 1, 2011 Atlanta Braves selected the contract of Todd Redmond from Gwinnett Braves. March 20, 2011 RHP Todd Redmond assigned to Atlanta Braves. March 25, 2010 Atlanta Braves recalled RHP Todd Redmond from Gwinnett Braves. March 25, 2010 Atlanta Braves sent Todd Redmond outright to Gwinnett Braves. March 15, 2010 Atlanta Braves optioned Todd Redmond to Gwinnett Braves. October 19, 2009 Todd Redmond roster status changed by Atlanta Braves. September 2, 2009 Todd Redmond roster status changed by Gwinnett Braves.